I am one of those weird people who loved The Chronicles of Riddick. I thought Pitch Black was okay, but Chronicles is what sold the character, and the universe he inhabits, to me. 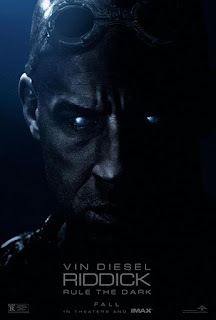 Through the efforts of low-budget director David Twohy (whose films, like The Arrival and Terminal Velocity, I had enjoyed previously) and Vin Diesel, they scraped up what they needed to make a grand space adventure. And it failed, miserably. David Bowie's recent passing has led to a number of theaters showing 1980s Jim Henson feature in his memory. Not surprising, since Bowie wasn't that bad as an actor (it kind of went with his developing characters that went along with his music), but movies like The Man Who Fell to Earth and The Hunger don't have as much drawing power as a coming-of-age fantasy with Muppets. That this movie was largely ignored (and dismissed) at the time it came out doesn't seem to matter now. Like The Dark Crystal, it has found its audience over the years, and there was always something great in the imaginations of Jim and Brian Henson and Frank Oz. 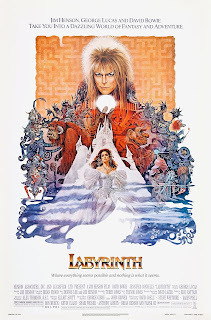 And, where the story was originally much darker, we have Bowie to thank for it being lighter in tone and giving it many of the quirks it does have - as well as a great soundtrack. 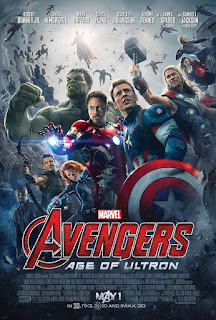 The Marvel superhero films seem to be almost all there is in theaters over the summer these days. Where once DC reigned supreme (and is trying to, again, with Batman v. Superman and Suicide Squad), Marvel has been churning out movies about every character it could since the first X-Men movie turned out to be surprisingly palatable by those of us who don't typically read comic books. Since then the films have been up and down affairs. They have managed to produce two of my favorite films in recent years, Guardians of the Galaxy and Captain America: The Winter Soldier. The latter came out just prior to this, introducing the plot of Hydra (the secret organization from the original Captain America film) infiltrating S.H.I.E.L.D. It turned out to be a throwback to classic 1970s action films rather than a straight CGI fest.